Chapter 7. Some leave taken and then Germany accepts our terms of Amistice. On 10th August, we shifted back to Marieux once more. This time the stay lasted a month as the big push was now in full swing and the Battalion was well into it and got well cut up, my old platoon coming out with a strength of 3 men, so I reckon I am lucky, several of my mates being killed. I went for a trip up to the dump and had to travel over many miles of the country that had just been captured and was a complete scene of desolation, every village being only a heap of bricks. I went into Bapaume, which was also the same. There were a few little puffs about so did not stay long. September 10th, 1918. We got on the move once more. Starting the day at 4-am we had breakfast and all the Camp struck and ready to move off by daylight. We had a march of about three miles to the old railhead where we had a good long wait for the train and spent some of the time in an orchard close by - nice apples. It was about 10-am when our train arrived but we were soon on the road and passed close to the old spot where I learned what war was. We were in the train until four in the afternoon when we found ourselves in Bapaume. That night pitched Camp just behind the town and was rather glad to get down for a sleep even though we did not have feather beds. The following day was spent in digging in etc., which was always seems to be our luck. While in this Camp there was nothing to be seen about except rain so I spent most of my time making souvenirs for the boys and getting a few “sometimes” in return. Our “Bill of Fare” took a decided turn for the worse, no gardens up there. Four days later we went up as far as Haplincourt to meet the Battalion coming out. A decent little march, stayed there for the night in an old hut and played the Battalion out to Biefvillers, the following day. Old Fritz was over that morning and converted a couple of our balloons into smoke and repeated the dose on two more the same afternoon. But things were levelled up during the night when I had the pleasure of seeing a Hun plane go up in flames, a great sight and he got a good cheer from the boys for his little performance. We were living in one of old Fritz’s underground stables and the second night experienced a very severe thunderstorm. Within a few minutes everyone’s gear was doing the submarine act in about nine inches of water. My greatest loss was my little bag of rations although everything present, with the exception of my trow and great coat, got wet through so spent the next three hours under a M.M tent (which was half blown away) waiting for daylight and then went back and started salvaging my goods. All the next day was spent drying, cleaning up and building a new bivvy. While here I found Stirl once more, also Harry A. and we spent several evenings together. I also met my old pal Jack Taylor. September 28th, 1918. The Battalion went into the line again and we shifted back to our old Camp once more. Most of the boys expect to get leave from here. Two or three evenings we had a lot of fun getting souvenirs from Fritz prisoners in the compound and on the train up Bapaume. Got so much doings so I got on the trade stakes once more. Two days later they took names for leave, mine being on the list and very much to my surprise I was warned to go on the 5th. I started right away to get ready but strange to say did not get very excited over it. I left Camp on the 2nd October about 4-pm and had to go up to Iries to the next Camp. Got a ride all the way. We arrived there that night and the next day got fitted out with new uniforms etc. Left there about dinner time for the railhead which was close by. Here we had a good long wait and only got moving by 4-pm. We were in that train until 10 oclock that night when we arrived back at Achel Le Grand, a total distance of eleven miles, some train. We were then just a few minutes walk from where we had started. The next day we went down to the station at 7.30-am after putting the night in an old broken down shed. The train was 3 hours late reaching this spot on account of trying a cross-country run where there were no rails but finally we got on the road once more. We passed through several large places including Arras and Doullens and arrived at Bolongne at 11-pm. Had some tea and then fell over in the tent and had a sleep in full marching order. There was a bit of an air raid on so were unable to light up to fix any sort of bed. The next morning we left this Camp about 9-am for the boat but did not get away for about three hours. After we did get going I had the pleasure of that familiar old sensation of mine once more. Another little wait at Folkestone in the train and then we were on the final lap. A non-stop run to London where we arrived about 4-pm in the afternoon. The first thing was a meal, a good clean up and by then it was fairly late so my friend Jim Flynn and I went out to a bit of a show which I did not think too much of. Sunday morning , the 20th October, I got up a bit late and met Charlie Griffin and then went round to the Y.M. and found Allen Eyles, Jack Coulter, and Harry Ashton there. We had a bit of a yarn and then all went for a trip down Petticoat Lane. Had lunch down that way and then went out to Hamestead. Had a look round there and drank some wine down at the old Bull and Bush and also found an ex-Digger out there. Had a lot of fun that day and went back to Sling with Allen, Jack and lost Harry in the rush. It was about midnight when we landed there so got some supper and got down on the floor for the rest of the night. The next morning after cadging a breakfast I went down to find my base kit, which I got onto after a while, so I left the boys and started back for Bulford Station, and got just about wet through getting there. On arrival at Salibury I found I had just missed a train so had to spend a couple of hours. Had a bit of a look round the town etc. and arrived up in London about 4-pm. Had tea, good, changed into my flash clothes and then met Binty Eyles, Dave Brynell and Bill McDowell. We all went to see “Chin Chin Show”, not a bad show. Tuesday morning Jim Flynn and I went out to Regents Park through the zoo and came back for dinner. In the afternoon went to see “The man from Toronto”, very good. That night we met Cliff Cameron and had a good talk with him and then caught the train for Scotland. Arrived at Glasgow about 9-am. Went round to the Club and fixed up a bed and then sent away a couple of parcels and had a walk round the town. In the afternoon it was raining so we all went to an Opera “Madame Butterfly”, some lovely music. In the evening went to a vaudeville show. Wednesday morning I went through Beardmores’s Howitzer Factory, some show and was there to see them forging fifteen inch guns, a nice job. Met Bert Cleary and had lunch with him at the hotel. In the afternoon I went through a pipe factory. In the evening Bert and his pal and I went to a skating rink and had a large time. Went home with a wee Scottish lass, a nice little girl. Friday morning. Went with a party out to Port Glasgow to look through the shipyards. Saw a very fine marine engine and also good wood working machinery. The proprietor then took us to have dinner with him, some style. Ah what! I had the best meal I have had for a long while. From there we went further on down the Firth of Clyde, which is a bit like good old Whangarei harbour and is very pretty. Coming back we went into the Royal Yachting Club, which was nothing flash. That night Bert and I took our skating friends to a show, which was not bad in places. Saturday morning we left for Edinburgh after spending a few real good days. We arrived there about 10-pm and had a bit of trouble to get a bed but were finally lined up in one of the Club’s houses. After dinner we all went out to see the Forth Bridge, which is some structure. We also had a good look at some of the fleet. It is rather a decent little run out there in a motorbus. I met Bill Cubis that night and we went to a concert. Sunday morning we all went for a walk round the town and the same in the afternoon. In the evening, walking the streets for a while, had some supper, and went to bed early for once. Monday morning I went through the Edinburgh Castle, the Fire Station, and the Palace. All very fine places. In the afternoon I went through a newspaper office, The Scotsman, a very fine paper office, which takes eight minutes to publish a paper and have it out on the street. In the evening I left for Dundee arriving there about seven-am. I got as far as Newcastle by 1-pm and decided to stay there the night. I found the Y.M., had some dinner, very rough show, after that I went to have a look round the town and through some gardens which were not bad, but I was far from being in love with the town. I found the old castle built on the Tyne. The first stone fort except for England. In the evening we got the news that Turkey had capitulated so everyone was very excited. I went to the theatre which was very good. After it was over caught the train for London, arriving there at 6-am. I made off to the Club and had a good bath and breakfast. After that I went out to Hearne Hill to see Mrs Boak and spent a couple of days there. At 1-pm I landed back in the city again. Had dinner, went for a walk ending up in another theatre with two Aussies. In the evening I did some writing and stayed home. Friday the 18th October, 1918. I had an appointment with the Dentist and sat for three hours in his chair. It was a very heavy fog that morning and I learned what London fog was like. I went back to the Dentist and spent the afternoon in his chair. In the evening I went to St James theatre with Eady from Auckland, and after getting back packed my gear ready for the following day. My leave was over, very hard to bear. The next morning I lay in bed until the very last minute and finally made a dash for it, got down breakfast, just caught the crowd moving off. Didn’t have time to either shave or wash.
We got to Folkstone about 10-am and went into the next Camp. I wrote a couple of letters and sent home a parcel and then got a couple of hours leave so we had a look around the town and had a good dinner and left for the boat. It was a good trip over and I managed to hold my own. Got to Bologne just after dark and marched up to one blanket hill. Got some rations and got down to sleep. The next morning we left about 7.30-am, marched to the railway, had a good wait there, also some papers, and got on the move about 10 o’clock. It was a pretty rotten trip and was after 10-pm when we marched Achiet le Grand. Went into a rest Camp there, which had just been pitched so that night slept in mud and got a good cold. The next day, 21st October, 1918, we left the Camp about 8-am without any rations except tea. Yours truly managed to get a couple of tins of fish. At the station we were told that the train was off the line and had to wait until 1.30-pm before we got away. At eleven o’clock we arrived at Louvencourt after doing a train change act part of the way up the line. Again all the tents were full and nobody knew where to go. In looking round someone found the cookhouse. It got the most of my attention for the next ten minutes. I was only a little bit hungry! I found a corner in it and we soon got down to it once more. The next morning I found some more members of the band just going back so after a good breakfast we were issued with rations and set off on a twenty-five kilo march. Needless to say that was no use to me so pulled up at the railway line and jumped a goods train going up to the line. This pulled up for a while at Marais crossing while they fixed up a bridge but finally reached Cambrai about twelve. Two of us were riding on a truck of hay and got pretty wet as it was raining a bit solid. In Cambrai we got into a house and boiled the billy and had some dinner and a bit of a spell. Then got on the road once more and got a bus nearly out to Beauvais where we found the Battalion. After getting some tea I went round to see Stirl and Harry but found Stirl had been wounded and when I got back found there was a letter waiting for me from him. I also got some NZ meals and went off to sleep feeling very happy although sorry to be back in this country. We stayed in this town until the following Tuesday. Most of my spare time I spent writing etc., and doing a bit of salvaging etc. On the Sunday, I went into town with Les Keene to a show. In the evening on Monday night went to a picture show. Tuesday 29th October 1918. We went up to Salome to the Battalion to play a programme, but on arrival found it was to stay. We got a posy in a loft of a Chateaux, not too good. We had a few programmes here. Old Fritz put over a few shells and cream puffs every night but no damage was done. All went pretty wide except the night we left the town and then he got one onto the corner of our billet but was just a bit late as we were gone. During our stay here Turkey signed the armistice and things are looking shaky for old Fritz. 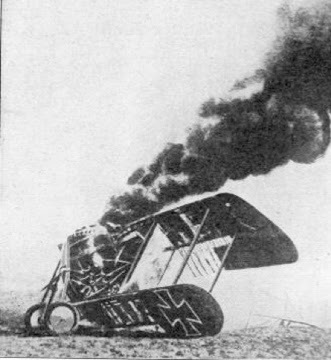 November 3rd, 1918. The battalion went into the line again, the band playing them along the road for a good way. Then we left them and started back. We had to go to Beauvais that night so set out straight away. It was very dark and rained fairly solid for most of the way so we got a bit damp. Felt like pulling off the road but even though the going was not too good, myself and about six others landed back in our old show after three hours fairly solid walk. We had a good tea and got to bed, my pal having looked after my old bed while we were away. The next day we heard about Austria throwing in the towel and everyone is feeling a bit happier. We stayed at this place until the 7th November and had a fairly easy time and plenty to eat. From here we marched up to Villereau just beside Le Quesnoy, 25 km,which took seven hours and needless to say were more than tired when we got there. We were put into another loft of a shed, a pretty crook show, but we were soon down on the floor and sound asleep. We stayed here for two days. The boys were out doing a big stint and giving Fritz a good smack up and by the sound of the rumours it will be the last stint. On the 10th November 1918, we left here with full packs and marched back to Solomes, arriving there about six-pm. Got a hot drink and settled down for the night expecting to hear great news the next day. We were getting ready for the road in the morning when the news came round that Germany had accepted our terms and armistice was to start at 11-am. Everyone took the news very quietly, there was not even a cheer but every man had a very happy smile on his face. Shortly afterwards as the Battalion was marching out of the town, the band playing the Regimental March. Three hours later we pulled up at Beauvais and were put up in the schoolhouse. A real good home and we had good beds to sleep in and that night we went off to sleep knowing that we would not be troubled with either bombs or shells which was a very strange feeling. Our stay here lasted until the? We had a fairly busy time, plenty of playing and route marches, also parades. On the 18th November, we had a Division route march, the column being eight miles long. We also had a couple of Battalion parades. There were plenty of rumours going as to when we were to start for home. 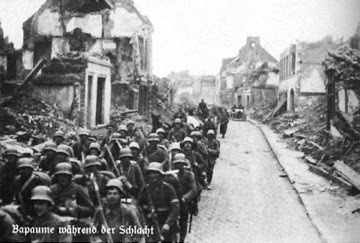 We also got the news that we were to go on garrison duty on the Rhine with the result that there was a bit of a riot but it fizzled out without much trouble. The first snow of the year fell on the 18th and there has been a fair bit of frost. On the 27th November, three of our boys left for NZ, which I hope is the start of the demobilisation scheme.